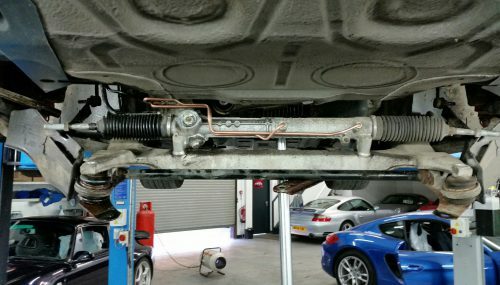 All water cooled 911’s Boxster’s and Caymans from 1997 through to 2008 are at risk of suffering an IMS bearing failure. View prices and information relating to your model. Zunsport Grilles provide excellent protection for your Porsche’s coolant radiators and air conditioning condensers. 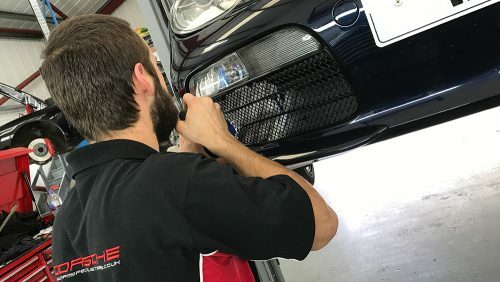 Our Porsche workshop is fully equipped with Porsche servicing equipment including the latest Porsche diagnostic computer software. View our range of exclusively hand picked Porsche cars for sale, all fully inspected. Porsche cars sold are supplied with a full MOT and an RPM Specialist Cars Porsche warranty package. Maintain optimum Porsche performance with a wheel alignment and steering geometry test. We use the state of the art Beissbarth 8 camera tech system which is fully programmed with Porsche software and settings. Give your Porsche that showroom shine with one of our Porsche detailing services. Premium products ensure an immaculate finish. Avoid system deterioration which leads to failure of expensive components. Air conditioning re-charge plus steriliser and deodoriser services. A Porsche is so much more than a sports car, it’s an extraordinary machine built for performance and every day living. 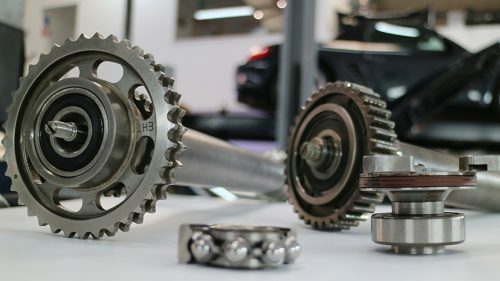 We’re here to help keep your Porsche performing at its very best. Whatever the model, we’re committed to helping Porsche owners get the most from their cars. Based in North Yorkshire, we’re located five minutes from the beautiful Spa town of Harrogate, just off the A1 and along some fantastic scenic Yorkshire roads. We offer unbeatable value on a full range of Porsche services as well as a hand picked selection of cars for sale. Make sure you’re getting our regular updates to your inbox so you don’t miss out on the latest Porsche news and updates. What a great set of guys you are at RPM - specialist by name and specialists by nature! Having bought 2 cars from RPM now I’ve continued to be delighted by the exemplary service offered by Nick and Andy. Thanks again guys!